Have a green thumb? Houseplants provide much pleasure to a city dweller. Having a terrace garden or maybe a balcony garden or even a few potted plants right outside the door or in our windows seems like a luxury in the humongous concrete jungle where apart from other things, green cover is also a scarcity. The funny part is children, being born and raised in such cities find hill stations almost heavenly because they are just not even used to seeing basic greenery around them. Hectic lives, frequent work-related traveling are few reasons that prevent us from having a personal green space. Seeing our favorite plant wither away due to neglect is not something everyone would like to witness especially the plant enthusiasts. Modified lifestyles have led to the advent of new age products. We dug out three super flexible products to help you keep your green patch, green. Self-watering aqua globes: How wonderful it will be when you have to water your plants only twice a month. Yes, that is possible; all you have to do is fill this water ball once a fortnight and it will cater to the watering needs of your plants using basic logic. The watering woes of your indoor plants can be well-taken care with this. Aesthetically designed, it will even complement with the decor of your house. Heard of drip irrigation? : Are you going away on a vacation? No need to give your home keys to your neighbor or maid to water your plants. There is a way to ensure that they remain green and fresh during your absence. An automatic drip irrigation system, once set on a timer can look after the daily watering needs of your plants. All you need is a tap and you are ready to go on that vacay. 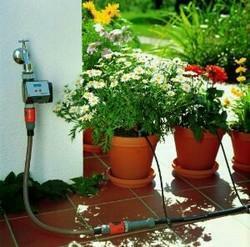 So if you have a terrace garden or a small quaint lawn, this drip irrigation system is the ideal solution. Nano garden on your desktop: Who says that plants are meant only for your home? If you want to incorporate little life into your otherwise busy home office space then a tiny flowering plant on your office desk will definitely add value to your cabin. Self-watering systems are ideal for desktop setting, having just one small flowering plant on your desk might brighten up your day. 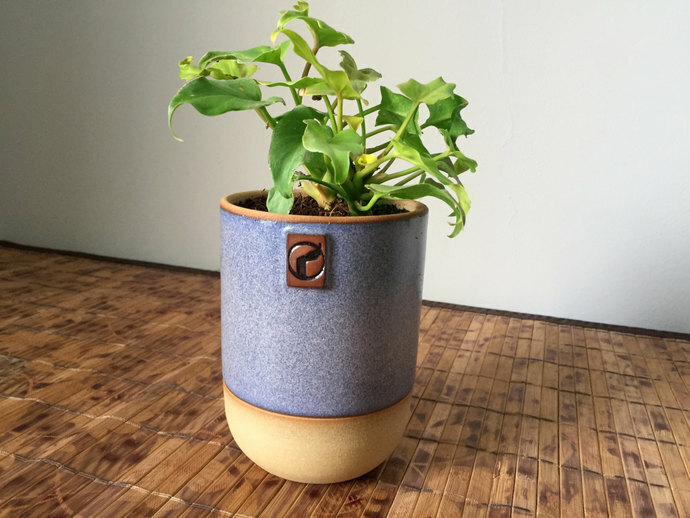 A desktop pot that comes in beautiful stoneware, with no water spillage at all and watering it only once in 7-10 days it is an ideal desk accessory. For a modern minimalist, this is a smart choice. With just enough daylight to read a newspaper, plants grow healthy in Growlove. So get ready and go to the nearest nursery and create your own mini garden at home, on the terrace, in the window or even on the dining table!